Last week I interviewed my friend and stylist extraordinaire, Cricket Burns about her amazing shopping site Cricket's Crush, She discussed her Holiday traditions, Christmas wish list, and her favorite go-to party recipe, tried and true Artichoke Dip. 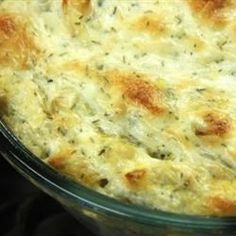 I search the internet and found the most amazing, cheesiest, most delicious Artichoke Dip recipe for you to make over and over again. Enjoy!! Mix together the mozzarella cheese, parmesan cheese, and mayonnaise. Pour into the casserole dish and mix well with the artichoke hearts. Sprinkle the parsley on top. Bake for 40 minutes, or until the dip is brown on top.